For Walmart, Facebook isn't a distraction from work. It's a way to make employees communicate better. The world's largest employer announced on Tuesday it has signed up for Workplace, the version of Facebook's social network that's optimized for businesses. Workplace launched in October 2016, connecting colleagues and allowing them to message each other, share images and broadcast live videos. Like Facebook's flagship service, it has a Newsfeed of updates. But there's no friending of anyone -- and what's in your feed depends on who you work for. Walmart, in an attempt to transform itself into more of a digital company, began experimenting with Workplace this summer. A Walmart spokesman said the platform is appealing because its employees are already so familiar with Facebook's products. Little training is required. The company said it will also use Workplace to distribute company news and broadcast town halls. Some Walmart employees have already used Workplace to coordinate emergency efforts during the hurricanes that have struck Texas and Florida. Walmart's emergency operations center used Workplace to exchange updates and photos with associates in the field, supplementing its existing communication tools. Meanwhile, Sam's Club employees have used Workplace to share information about store product displays. Walmart plans to roll out Workplace in phases and hasn't determined yet how many of its 2.2 million employees will use the service. 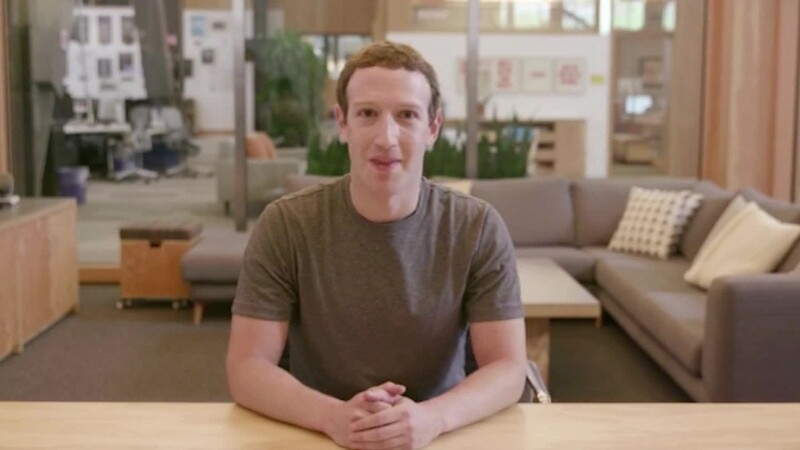 Facebook said that more than 14,000 companies are using Workplace today. At Starbucks, 80% of its store managers use Workplace on a weekly basis. Meanwhile, Norweigan retailer REMA uses the platform to make employees immediately aware of product recalls. Workplace costs from $1 - 3 per user, depending on how many employees a company signs up. There's also a free version with limited features. 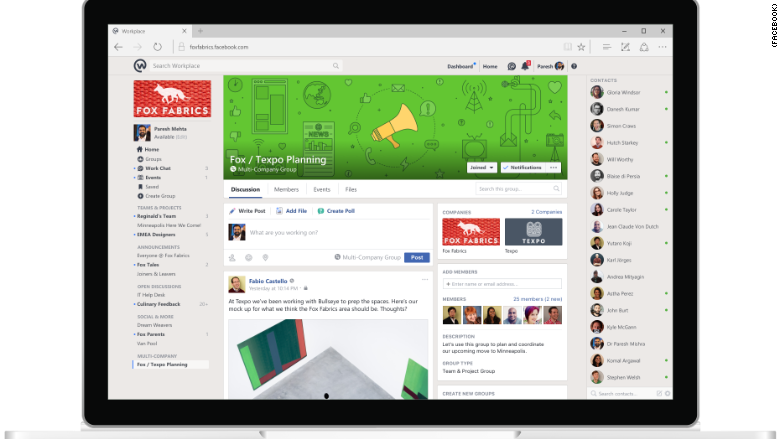 Workplace is Facebook's first major push into enterprise software, which competes with services from Slack, Microsoft and others.